S.Africa eyes green shoots in local cannabis industry - SABC News - Breaking news, special reports, world, business, sport coverage of all South African current events. Africa's news leader. 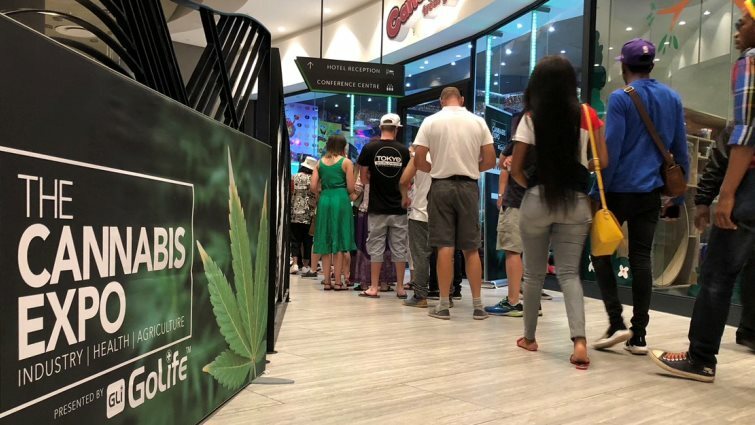 South Africa on Thursday held its first cannabis industry exhibition since the constitutional court ruled private, personal cannabis use was legal, attracting scores of entrepreneurs and consumers. Although no smoking was allowed at the venue, hundreds of people attended the trade show including producers, manufacturers, brand owners, distilleries and brewers. “It is an enormous opportunity and I don’t think people realise how big it is. If we look at the market, it is enormous when you look at what is happening in America and Canada,” said Steve Carver, 50, a director at U Can Grow Africa which sub-lets land for cannabis cultivation. Another attendee Sifiso Pretorius, who has a licence to cultivate the plant, said the profits derived from cannabis based products were “unbelievable”. “It’s a huge industry and its mainly export based, dollar based. The potential is huge,” he said. The country’s top court decriminalised private use and cultivation of the herb in September, although it did not decriminalise the use of the drug in public — nor the offences of supplying or dealing. “Eventually we will grow hemp in Zimbabwe by the end of next year. We will be able to clothe people for almost next to nothing,” Swan said. “I wanted information about growing and cultivating because I want to do that myself. I’m quite happy with what I got because I know where to find seeds and everything else to start,” law student Amogelang Shadi, 24 said. Dressed in Rastafari colours, director of the privately-owned Marijuana Board of South Africa, Rasta Sphesihle Madola, told AFP that the rasta community was also working with farmers and growers associations to profit from the plant. “As we are rasta we are about the economy of cannabis, we know that it makes money in the world. We call on international investors to invest and make this industry viable,” Madola added. This entry was posted on 13 Dec 2018,08:29PM at 8:29 PM and is filed under Sci-tech, Homepage Latest Stories Slider. You can follow any responses to this entry through the RSS 2.0 feed. Both comments and pings are currently closed.